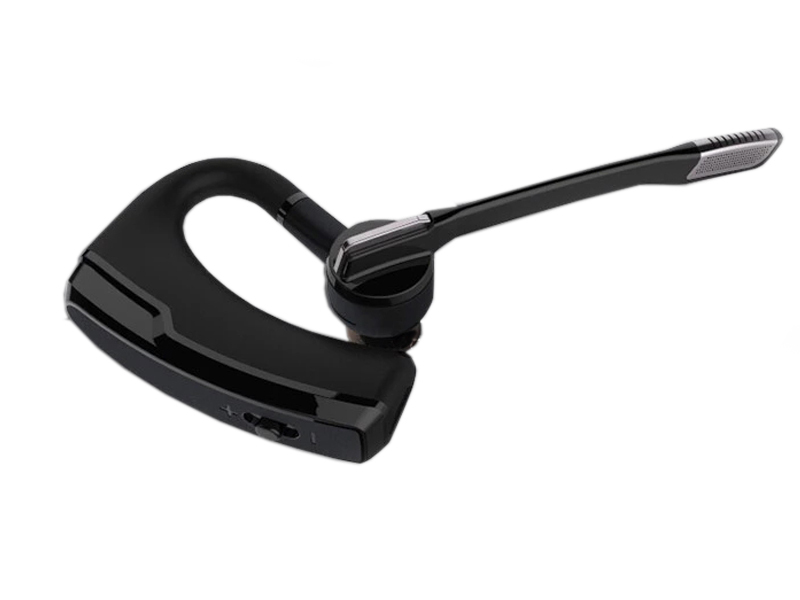 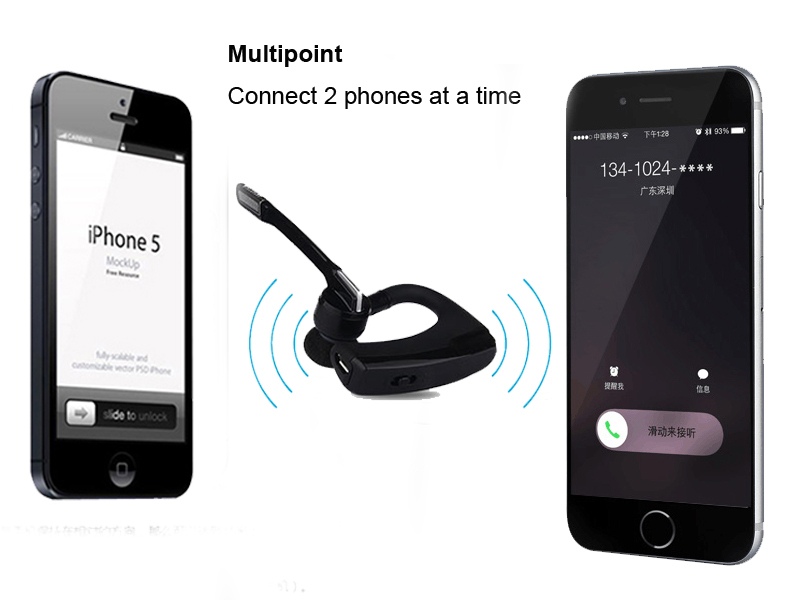 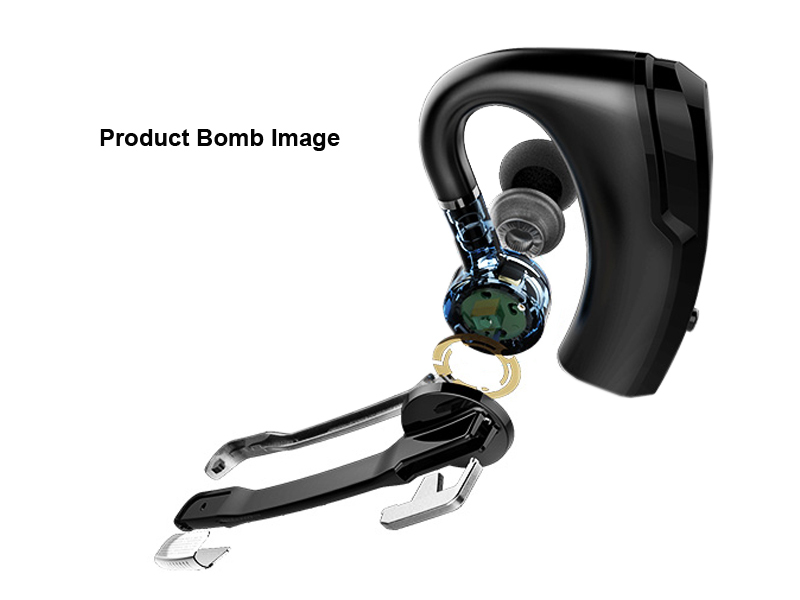 iBossom Bontigo headset comes design with both 180 degree rotatable ear hook and microphone.It can be paired with 2 smart-phones simultaneously. 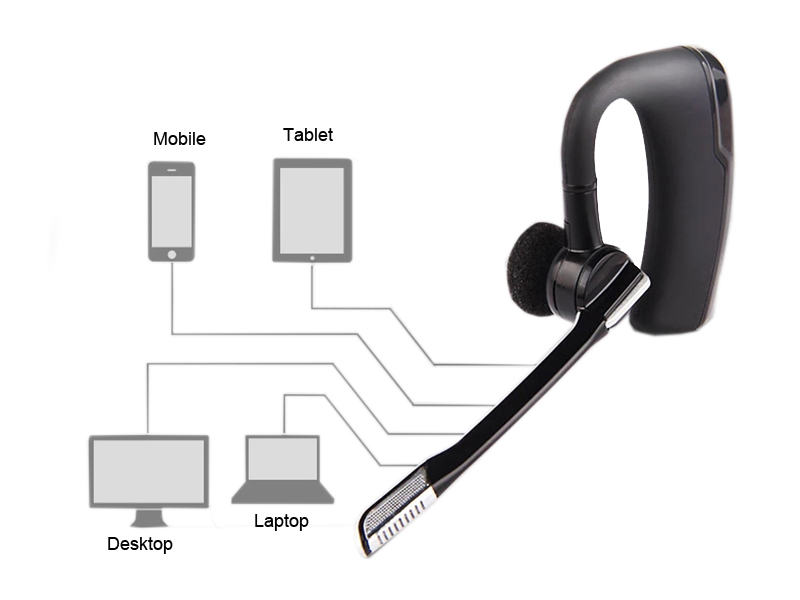 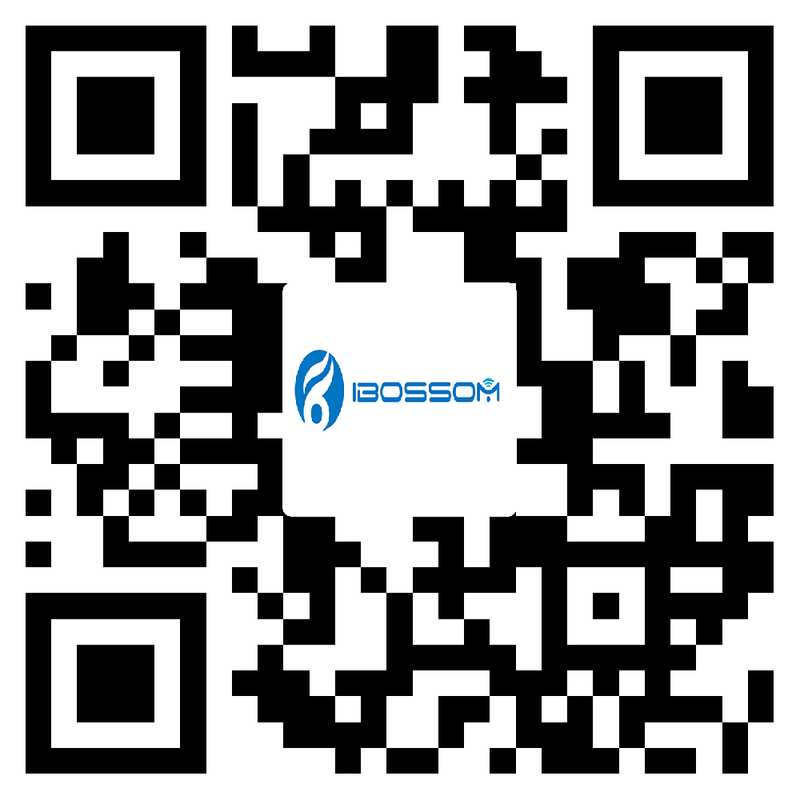 You can seamlessly switch between your business and personal phones, and you'll never miss any call. 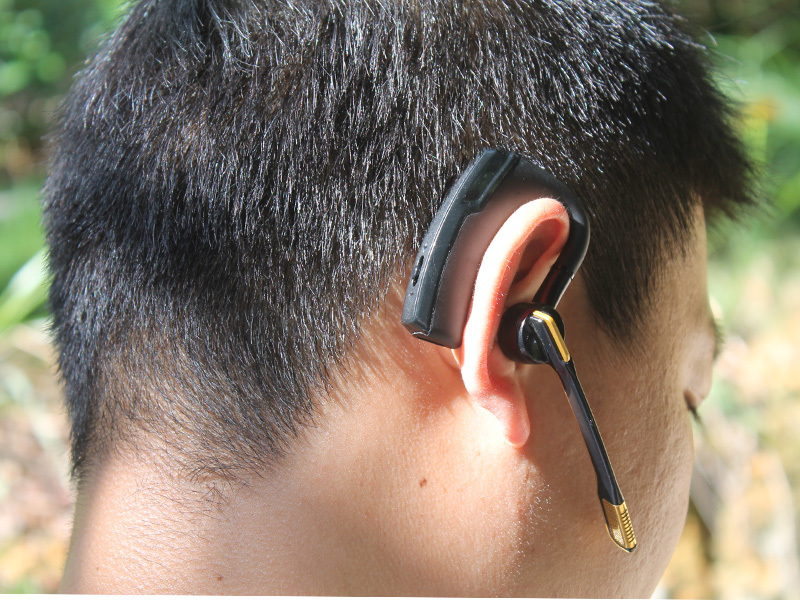 - Painless Mobile Epoxy Earmuffs. 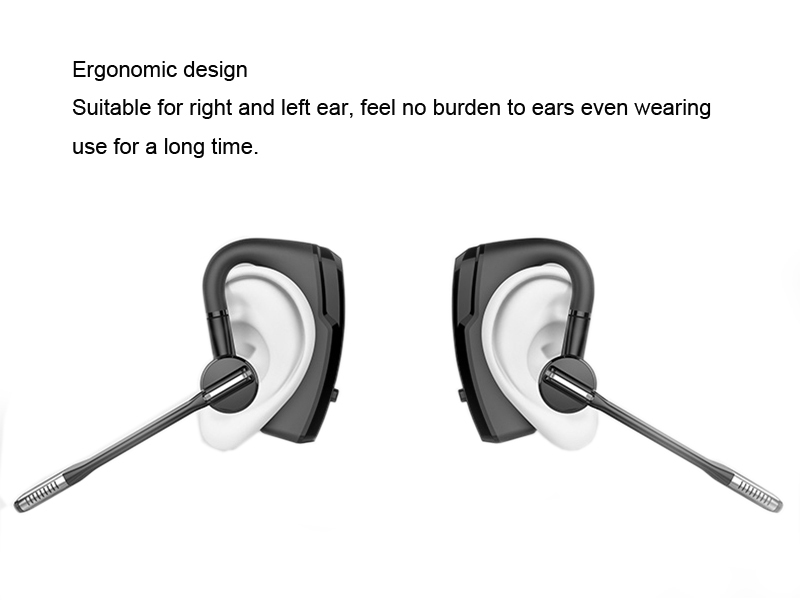 Epoxy earmuffs are nice and smooth. 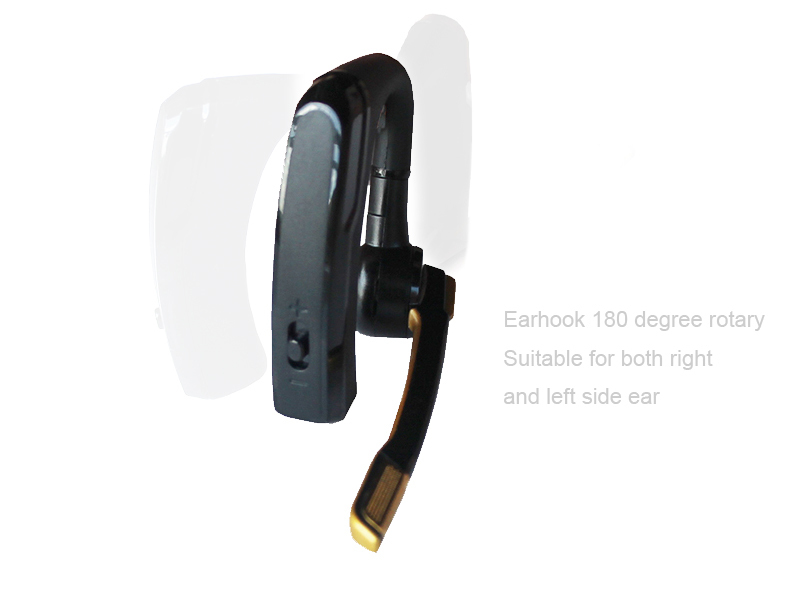 Ergonomic design offers much comfortable wearing experience. 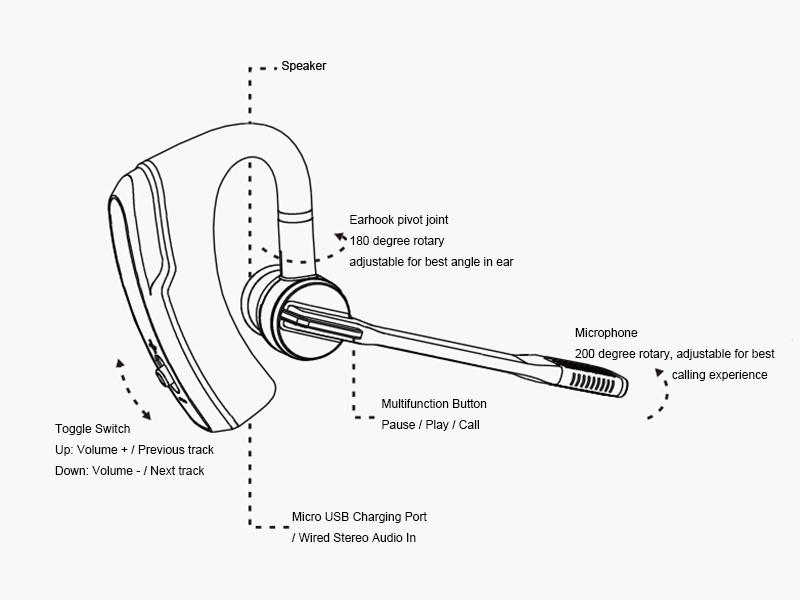 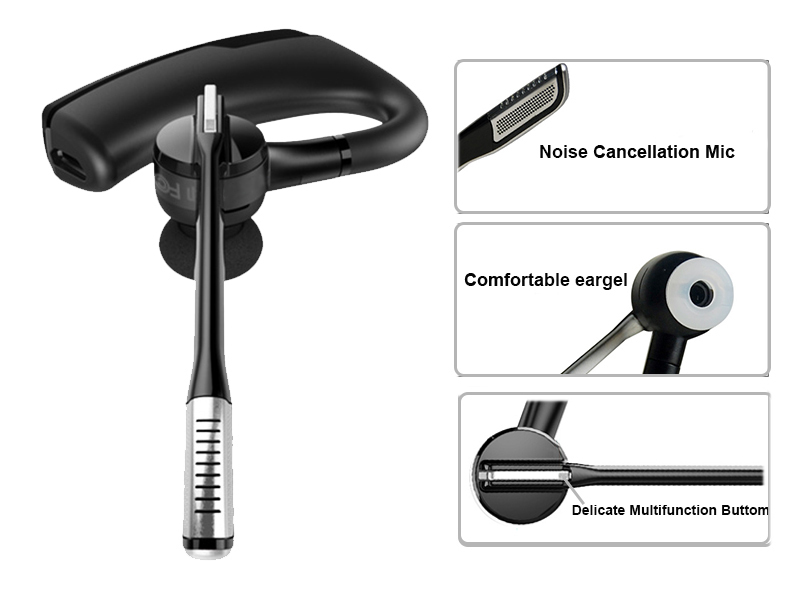 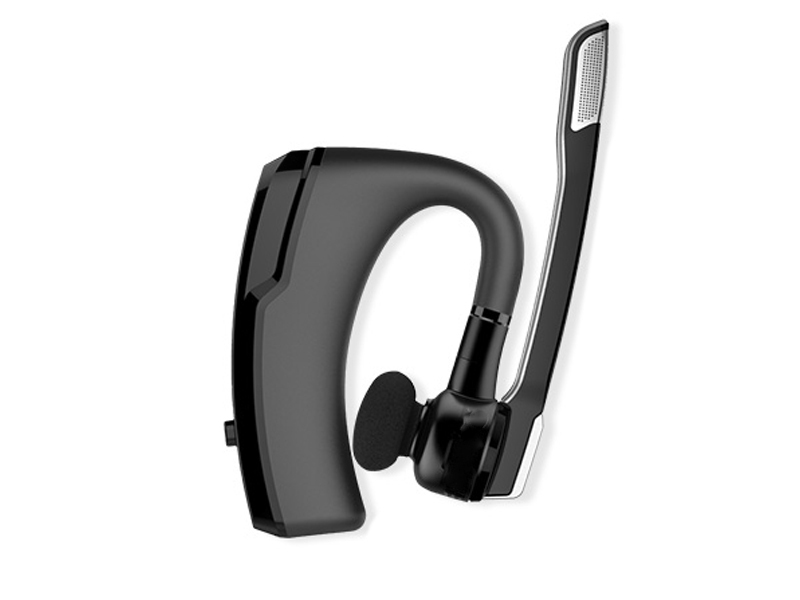 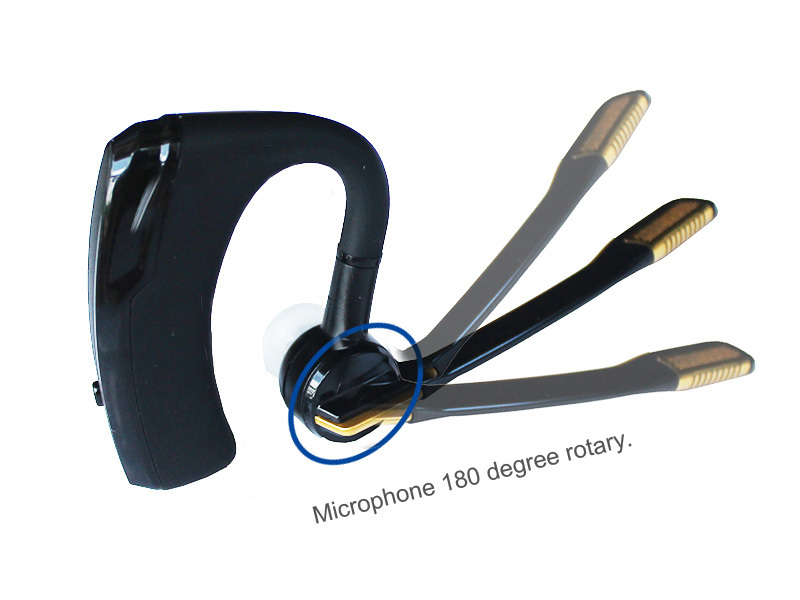 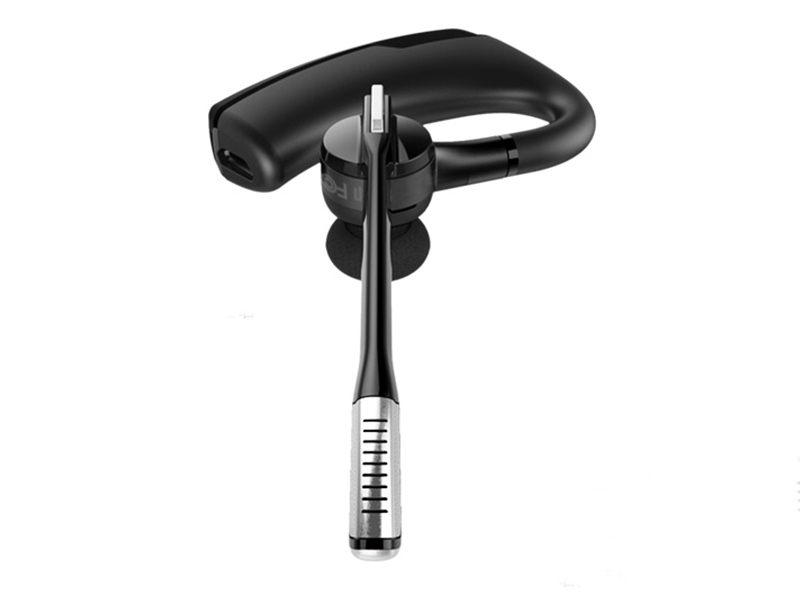 - The earhook can be rotated freely up to 180 degree for left or right ear, and for the most comfort angle, and the microphone could adjustable freely for 180 degree for a clear conversation.